Starting out this week with an outfit from one of my favorite new boutiques. 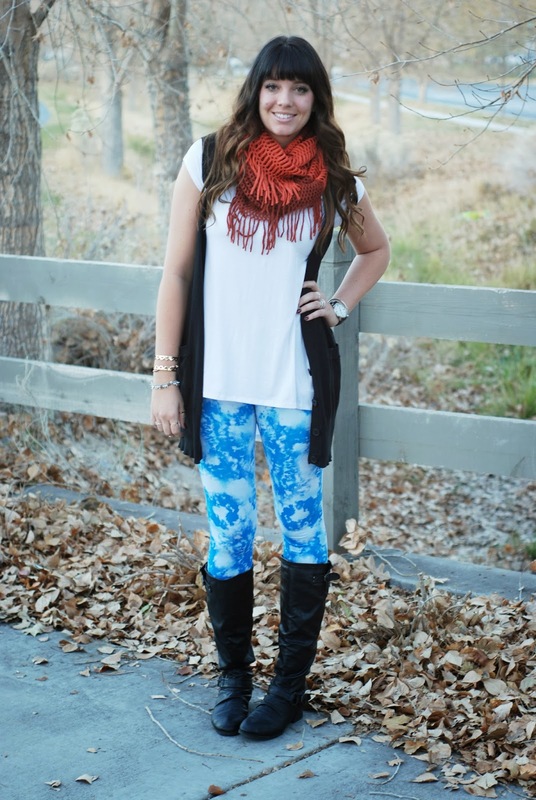 Annie Jean Apparel is an online boutique and has just about everything. When I say everything, I mean shirts, sweaters, cardigans, leggings, and the cutest accessories (obviously, look at my adorable scarf!) Along with these leggings I am wearing, they have the CUTEST patterns (camo, aztec, basics, seriously everything). So many adorable options. Let's talk about this tee. Everyone says, "leggings are not pants". Since I am tall, I have been searching and searching for a basic tee that I can layer and wear with leggings that covers my bum. Well, look what I found! Annie Jean has the best basic tees EVER. This one is the perfect length. I will definitely be stocking up on the other colors ASAP! To make this even better, we are starting out the week with a GIVEAWAY! Yay! Annie Jean Apparel is giving one of YOU $50 to buy an outfit as cute as mine! Go enter below and remember: the more you do, the more entries you get. GOOD LUCK!! 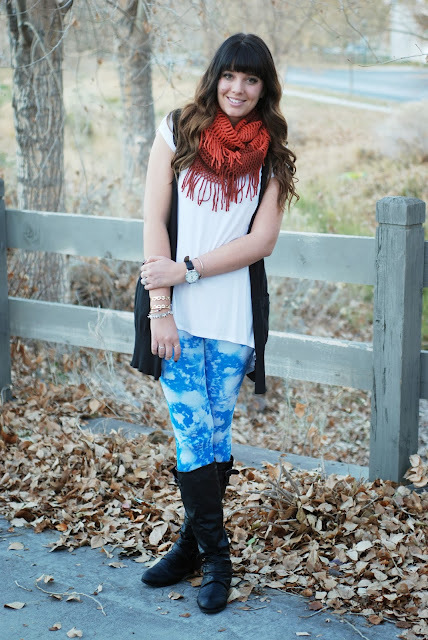 25 comments on "Annie Jean Apparel GIVEAWAY"
I like the forever floral and blakely leggings. I like the Blakely Leggings and Jade Tunic. I would love the camo leggings and the toggle coat! 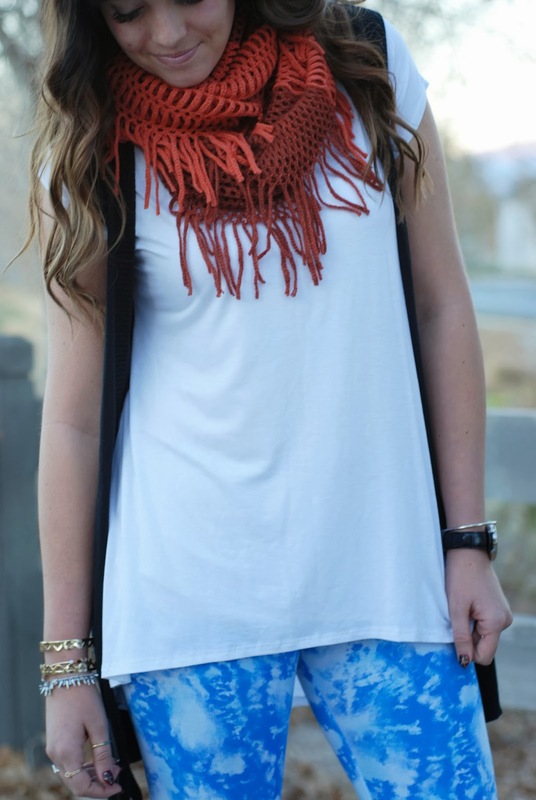 I love this outift, I just discovered your blog and love it! Your hair is very pretty as well! What did you use to curl it? I like the Soft and Sweet cardigan! ooo they really do have a lot of cute things, and that tee was just the thing for your fun leggings! but i especially love your fringe scarf, it's so so pretty! PS- I'm stopping by from Monday Funday! I would grab the leopard lace top! I would get the "Soft and Sweet Cardigan" and the "Striped Infinity Scarf"
I need the "Love" Fitted Skirt! Obsessed with the Tortoise Shell Flower Necklace! So adorable! Look how cute this outfit is! I love it! I am tall too and I have the same problem - it's so frustrating because I feel like I can never wear leggings with tunics :( Anyway, I will definitely check out their basic tees! 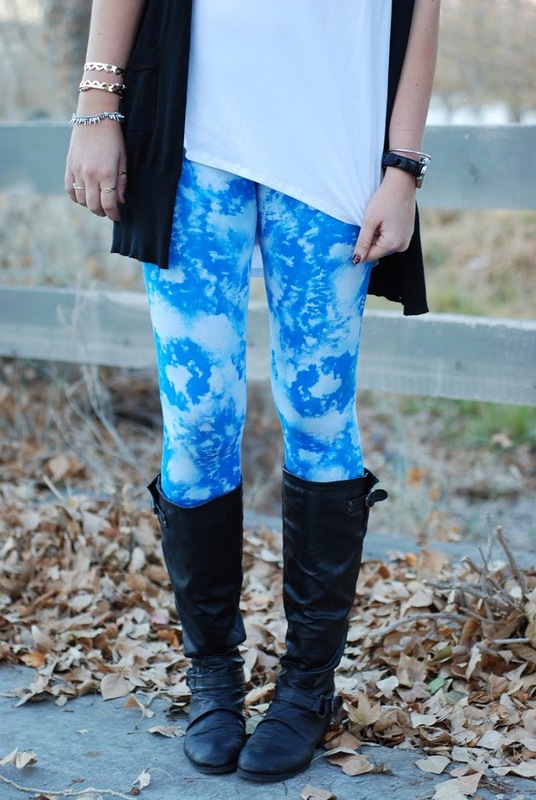 If I won the $50 I would so be buying the leggings and the long shirts to wear over them—love them!! I love the Maggie Military jacket or the Camden Camo jacket! Such a cute little online store! 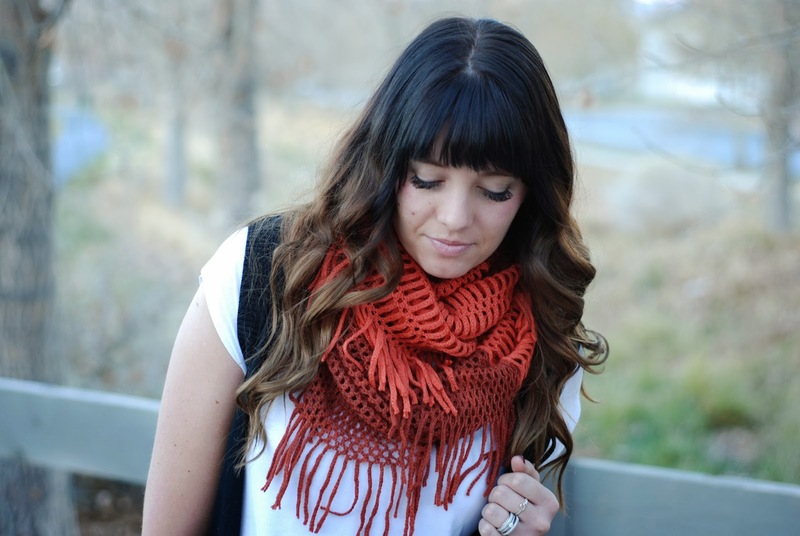 I would buy the boaters stripe basic top, and the Lace and dot print infinity scarf. Thanks for the giveaway! I would get the Boaters Stripe Basic Top, the Tortoise Shell Flower Necklace and the Presley Everyday Top!